Men's waxed jackets are the epitome of urban meets rural styling for the modern gent. The traditional style wax coat is a wardrobe staple for everyday wear, perfect for countryside activities or contemporary town life. Available in a range of styles and colours, our carefully selected range includes classic Belstaff wax jackets with their signature biker inspiration. 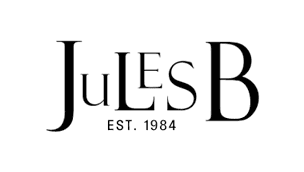 Here at Jules B you're sure to find a waxed cotton jacket to suit, or shop the extensive men's outerwear range today and find the perfect style match for your wardrobe.